The Research and Education Space (RES) is a new partnership initiative between the BBC, Learning on Screen and Jisc which aims to make it easier for teachers, students and academics to discover and use material held in the public collections of broadcasters, museums, galleries, libraries and publishers. RES comprises an open platform – built by the BBC – which searches, indexes and organises the digital collections of leading public organisations to make their content more discoverable, accessible and usable to those in UK education and research. “We’re building a digital platform that aims to makes it easier for teachers, students and academics to discover, access and use material held in the public collections of broadcasters, museums, libraries, galleries and publishers. We’re collaborating with dozens of major institutions and are very keen to involve smaller and independent institutions as well. The advantage for them is that because the RES platform searches for keywords, any search using RES will take you straight to the relevant item; so putting the smaller institutions on an equal footing with the bigger players”. By indexing data across the collections, RES can collate and link together information it has indexed about a particular topic in a structured way that is easy to navigate. 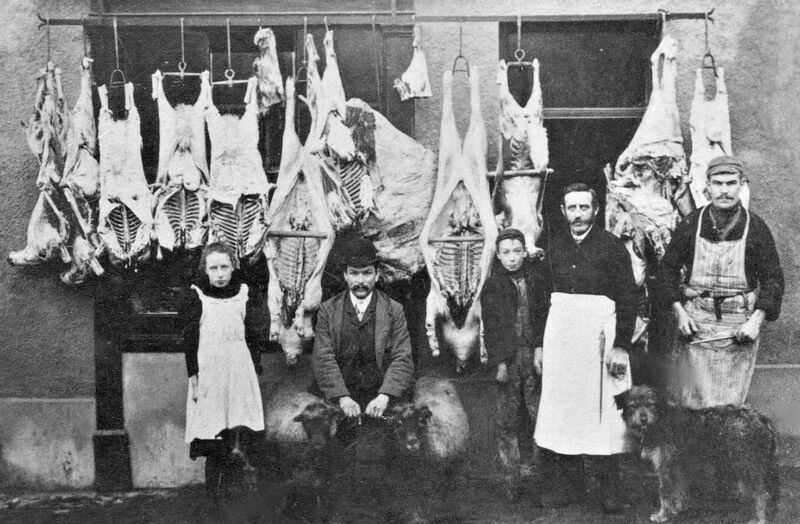 By making connections between information about the people, places, events, concepts and things related to items in the collections, users are provided with a much richer, fuller experience. The RES platform also enables educational software developers to create digital educational products that will inspire learners, teachers and researchers by using applications powered by the RES platform. This means that anyone can make use of the index data and interpret it to build useful products and services aimed at UK education and research. “We have been working in collaboration with teachers, students and academics, curators of world class digital collections and educational product developers with one shared ambition – to inspire new ways of learning by improving the availability and discoverability of online resources for all levels of UK education that are relevant, authentic and reliable. The Research and Education Space is still in its infancy; development of the platform began in 2013. However, over time it is envisaged that RES will further develop and grow as more content is added and educational resources ‘powered by RES’ open up a treasure trove of digitised collections for teachers, academics and students to bring lessons, lectures and learning to life. A new video has been produced by the Cornwall Museums Partnership to help raise the profile of over seventy museums in the county and to highlight the positive impact they make. The video and accompanying infographic both explain how Cornish museums help learning, inspire people from all walks of life, provide employment and volunteering opportunities, add to the visitor economy and deliver value for money. We talked to Emmie Kell, CEO of the Cornwall Museums Partnership, to find out more about this work and to learn how other UK museums can tell their story too. AIM: Hi Emmie, can you please tell us why the Cornwall Museums Partnership decided to create this video and infographic? EK: We wanted to raise the profile of museums in Cornwall with key decision makers and the wider public. We set out to try and raise awareness ahead of the government’s decisions on public spending cuts which are due to be announced later this month. For us, this was about trying to explain the key impacts museums have for our communities and economy, in a way that people outside the sector would understand. AIM: What do you hope the outcome of producing this work will be Emmie? EK: We want to turn as many people as possible into advocates for museums and to really spell out the important role that large and small museums play. Whilst most of our museums are not wholly supported by local or central government funds, cuts to the Arts Council’s funding which result in a reduction in Museum Development support for instance, would affect a large number of them. AIM: Why did you choose to use video rather than a standard written report to highlight Cornwall’s Museums? EK: We wanted something which was easy to access. We looked at the Arts Council’s advocacy toolkit and we liked the way that they had chosen to publicise this via a short film. It seemed a good way for us to communicate quickly and easily with the people we wanted to reach. It is easy for people to share the film via social media and the advice we had from SEO experts was that video content will improve our search engine rankings. That said, this was a new departure for us and we wanted to test it out and see the reaction. AIM: It is a brilliant way of engaging people and capturing interest – what would you say to encourage other museum networks across the UK to tell their story too? EK: No one else is going to do this work on our behalf. I think it really is up to all of us in museums to stand up and make the case for them. I think we have all been a bit too modest in the past and now is the time to use all of the data which museums have been collecting to tell a compelling story about our sector’s impact. AIM: Storytelling is a powerful way of getting crucial messages across to the wider public and politicians, how can independent museums do this? EK: Independent museums in particular have a great story to tell– I would hope that, if they haven’t already, every museum in the country is busy contacting their local MP and councillors to set out the impact they have, to explain how they are funded and the great return on investment that they provide. The feedback we have had from our film has been overwhelmingly positive; it has helped to raise the profile of museums with a whole range of people in Cornwall and encouraged a productive dialogue with local decision makers. We learned a lot from the process of putting the film together – we did it in a very short time frame and the company we worked with www.becontent.co.uk did a great job. So much so that we are already planning the next one! AIM: Thanks Emmie, is there anything else you would like to add? Recently, AIM travelled to Brighton to attend the ‘Let’s Get Real’ conference produced by Culture24. The conference was created as a platform to discuss how organisations – and the people in them – can adapt to digital change, and how using different narratives across your digital channels can transform how your organisation is seen by existing and new audiences. There’s no denying that ‘digital’ has been one of the biggest buzzwords of the past few years, but for many museums, galleries and heritage sites, using digital tools can often feel like yet another task to contend with. Not all AIM members have the capacity, time or manpower to dedicate to digital, so we have rounded up some of the top tips from the ‘Let’s Get Real’ conference – and added a few of our own – to help you with your digital communications. There is also an AIM Success Guide available to download called ‘Successful Social Media’ for any museum getting to grips with digital communications. *Show the ‘behind the scenes’ processes of your museum across your digital channels to intrigue and inform potential visitors. The ‘human aspect’ of a museum is a powerful marketing tool! *Storytelling that goes beyond your main website content will help to build new relationships with new and existing visitors – what could you put online that you haven’t already? *Give your collections database a narrative – include human interest stories and fun facts to make objects come alive. *Can you use digital bring your collections to life? A great example is the ‘Pen’ at the Cooper Hewitt, Smithsonian Design Museum which allows visitors to explore the collections and collect their own images which they can then access from home. When launched, 64,040 pens were used in 158 days with a 94% take up and over 1,442,000 works collected. *If you are due for a website update, consider using the user friendly ‘Wordpress’ platform so that all members of your team can contribute content. A good example of why this works here. *Invite staff, volunteers, Trustees and even visitors to contribute blog pieces – everyone will offer a different perspective on your museum. *Reward followers – turn followers into fans by offering rewards. This could be money off coupons on Twitter for museum visits or maybe exclusive discounts in your museum shop for Facebook followers. * Tweet Chats – these are a good way to engage with others and to attract new followers who are interested in your content. Some tips on Tweet Chats here. *Digitise collections in a fun way – the Cooper Hewitt, Smithsonian Design Museum created ‘The Immersion Room’ which allows visitors to select wallpapers from the Museum’s permanent collection and see them projected on the walls from floor to ceiling. * Give any new museum digital project time & space so you can experiment & reflect on next steps. More info on Disruptive Marketing can be found here. *Analytics are nothing to be scared of – make the most of your Facebook insights or website analytics to reveal your most popular content and pages – and who your followers are. Understanding your audience and what they enjoy, can help you to create and schedule content that will get noticed. Thanks to Culture24, and all the ‘Let’s Get Real’ speakers for an inspiring day! 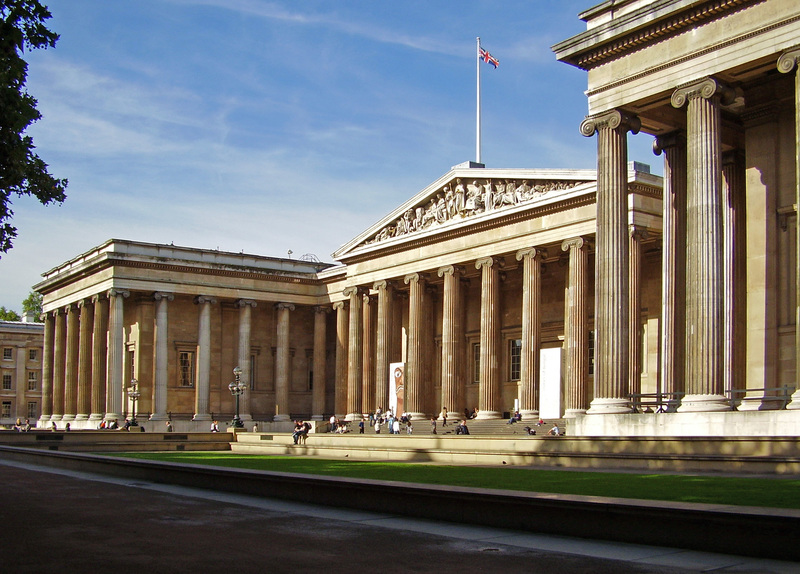 The National Programmes team will host a free conference at the British Museum to explore ideas around the Curator of the Future on Monday 13 April 2015. Further information will be circulated about the conference soon, but for now please save the date and circulate to colleagues you feel may be interested in attending and participating. The landscape of the sector is changing and curatorial practice needs to be responsive, we want to open up a debate with museum professionals across the UK to question: what will it mean to be a curator of the future? The team will be circulating a call for papers in the coming weeks but we’d also be keen at this point to hear any ideas for presentations or suggestions for speakers you may have. The Curatorial Survival Kit: what should be in the curatorial survival kit to thrive in the changing landscape? A Brave New World: income generation and commercial activity, digital technology and online data. What are the impacts and opportunities for curatorial practice? The Next Generation: traineeships and development programmes; academic partnerships and nurturing expertise. How can we help support the current and future curatorial work-force? The conference is open for delegates from across the UK to attend, to enable this, there will be some travel bursaries made available on a case by case basis. Europeana Creative is looking for innovative ideas about how to use Europe’s digitised cultural heritage for tourism or social networks and has great prizes to turn ideas into reality following Culture24’s successful VanGo Yourself pilot. If you missed the opportunity to participate in our first round of challenges then don’t worry, we’re pleased to announce that Europeana Creative is once again looking for creative developers, designers, start-ups and other entrepreneurs to re-use Europe’s digitised cultural heritage from Europeana in innovative and creative ways! Our second Challenge is to create applications that reuse Europeana content in the themes of Tourism or Social Networks. The best ideas in the themes of Tourism and Social Networks will receive a tailor made Incubation Support Package as a prize, helping to bring your product idea successfully to the market! The prize consists of specialist support measures delivered by a team of experts providing business mentoring, technical support, assistance with identifying and accessing finance, facilitation of business partnerships, access to specialised testing environments, marketing and promotion support. Read more about the Incubation Support Package here. In order to help inspire you with the new round of challenges Europeana Creative has developed some innovativePilot Applications to demonstrate the things you can do with Europeana content and a little bit of imagination. The Tourism Pilot Application is called, VanGoYourself and is the brainchild of Culture24 in the UK and Plurio.netin Luxembourg. Our Tourism Pilot is a genuinely different and surprisingly deep way for visitors to engage with heritage, based on emotion, playfulness and curiosity. Have you ever wanted to recreate a version of Vermeer’s Milkmaid in your own kitchen or get together with your friends on a Saturday night out and recreate the scene in Leonardo Da Vinci’s The Last Supper? VanGoYourself wants to get people to rediscover and engage with classic paintings from around the world in a new and exciting way. Read the rest of the article here: Europeana Professional – Tourism & Social Networks Challenges are now open for Applications – News & Events. If getting to the USA for the Museums and the Web conference earlier in April didn’t manage to happen for you (or us!) never fear! Kati Price, Head of Digital Media at the V&A, has done a great write up of the top 10 things she learned. Click here for her full article: Ten digital lessons (or ‘the things I learnt at my first Museums and the Web’) | V&A. Some extracts we particularly liked below. It’s a truism, but it’s more important to measure what you value rather than value what you measure. With Brian Alpert of the Smithsonian and Seb Chan of the Cooper Hewitt, we had a proper rummage around Google Analytics. Working in digital (and I completely agree with Koven Smith who tweeted that using ‘digital’ as a noun is bothersome), we feel that awkward tension between insight and surveillance, between wanting to get our little paws on as much data and stats about our website users, and the more creepy aspects of tracking and analytics that we’re so much more aware of post Snowden. You can spend hours wading through your Google Analytics data, but unless you’ve set up your goals properly, you’re not going to be able to derive any decent insights that you can act on. And goals are only really meaningful when you’re drawing them from your organisation’s mission (brain achingly tricky, though, to use Analytics to show how well the V&A’s digital offer is ‘inspiring creativity’ or the Smithsonian is ‘increasing and diffusing knowledge’ for that matter). When you pack for a conference you make sure you’ve got your toothbrush and some clean underpants packed. But you expect your hotel to make sure there are clean bed linens and towels ready for your arrival. It’s the same with museums, says Tim Svenonius of SFMOMA: we may expect you to bring along your mobile or tablet – your toothbrush, as it were – (and should probably have some spare, like the stash of toothbrushes the hotel reception has just in case), but what are the equivalents of linens, towels and fancy toiletries that we should be providing in our museum experiences? The apps, audio guides, the gallery interactive experiences and so on? And how do we make sure we integrate with and augment the devices and social networks our visitors use? All good questions raised in one of the lively professional forums.